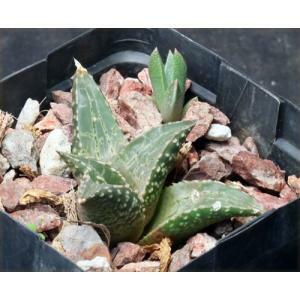 This is one of the most widespread of the Haworthia species in South Africa, occurring over most of the Great Karoo and the Klein Karoo of South Africa. 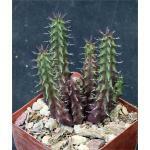 The rosettes of this variety have leaves with tessellate (square-shaped) markings that are rather striking. The late Dorothy Pasek selected this form, which has more prominent tessellations in the leaves. These plants are rooted offsets in 4-inch pots.